Serve these Coconut Fudge Bars to a crowd, and watch as they're the first to disappear. 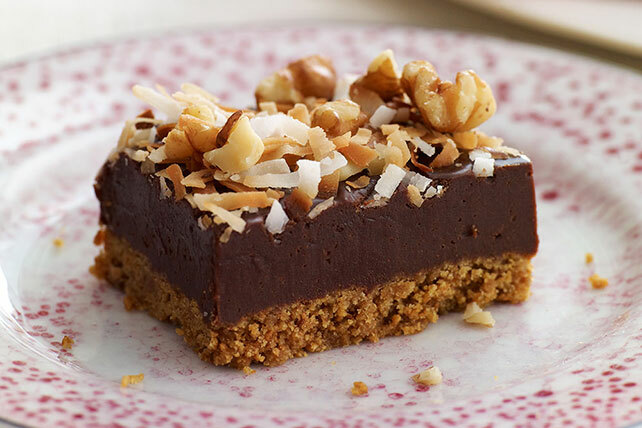 These rich, chocolaty coconut fudge bars are topped with walnuts. Top with nuts and coconut. Refrigerate 2 hours or until firm. A portion, 1 bar, is all that is needed to provide big chocolate flavor. Heat oven to 350°F. Place coconut on baking sheet. Bake 2 to 4 min. or until coconut is dry and mostly light brown with some white shreds, stirring every 30 sec.